Calling all glamorous and stylish NFL Fans! 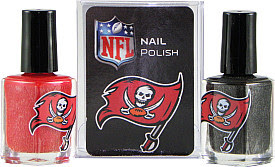 KE Specialties has your team nail polish colors (extra points because they are licensed). What's nice about this product is that it comes with two colors. You could just buy the polishes separately in your team colors, but these are fun and "official". 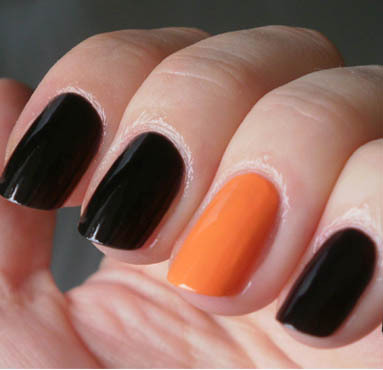 The trend in nails these days is leaning towards the creative and applying more than one color, other wise known as the "accent" nail, which is perfect for supporting your team. The black and orange Oklahoma State nails above are on point!